- Jimmie Johnson enters Sunday's Coca-Cola 600 looking for his fifth career victory in NASCAR's toughest test of man and machine at Charlotte Motor Speedway. Johnson, racing in his 18th season in the Monster Energy NASCAR Cup Series, said it's tough to tell if this year's Coca-Cola 600 will be any less grueling than in years past, even considering the implementation of stage racing and advancements in equipment and driver fitness since his first 600 in 2002. "I can't say it's going to be easier because through my career here, we might finish a little quicker than some years due to speed," Johnson said "I think it all kind of levels out. Take it back to the days when they didn't have power steering and it may have been a little different. It is a very long, difficult race. … I treat it a lot like a triathlon. (I consume) electrolytes, carbs, anything that keeps me alert over the course of the race. "It's definitely a big day at the office." Never in Johnson's Cup Series career has the Hendrick Motorsports driver been winless following the Coca-Cola 600. He hasn't won a race yet this season and last won the Coca-Cola 600 in 2014. 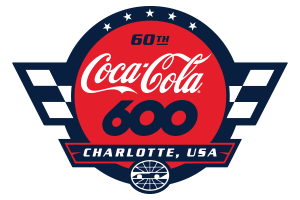 The 59th running of the Coca-Cola 600 begins Sunday at 6 p.m.